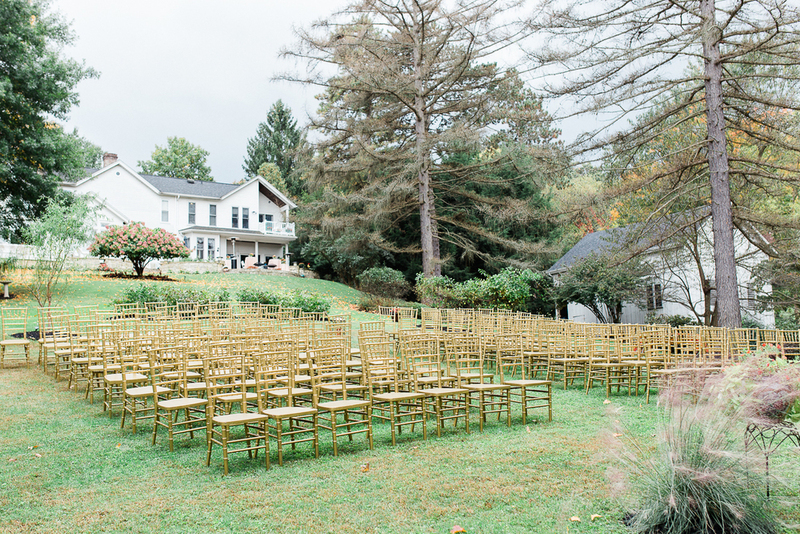 Jane and Abe were married in the backyard of Jane's childhood home in Pittsburgh. Maybe it is because I grew up in a family of all girls, but being surrounded by Jane and her sisters felt like home. From the watercolor invitations to the stunning florals, each element was handcrafted by a close friend or family member of the bride and groom. It was a beautiful example of how a marriage can be that much sweeter with the support of loved ones. The bride and groom made these delicious jam favors for all of their guests. Homemade details are my favorite! Jane's hair and makeup was done by Hannah Conard, and I cannot say enough good things about working with her! Jane's dress was a stunning vintage gown repurposed by the lovely Shareen Vintage NYC. It was the perfect mix of modern and feminine. Hands down, my favorite part of this celebration was the ceremony. Jane and Abe opted for a self-uniting ceremony with special readings and songs by their family and friends. 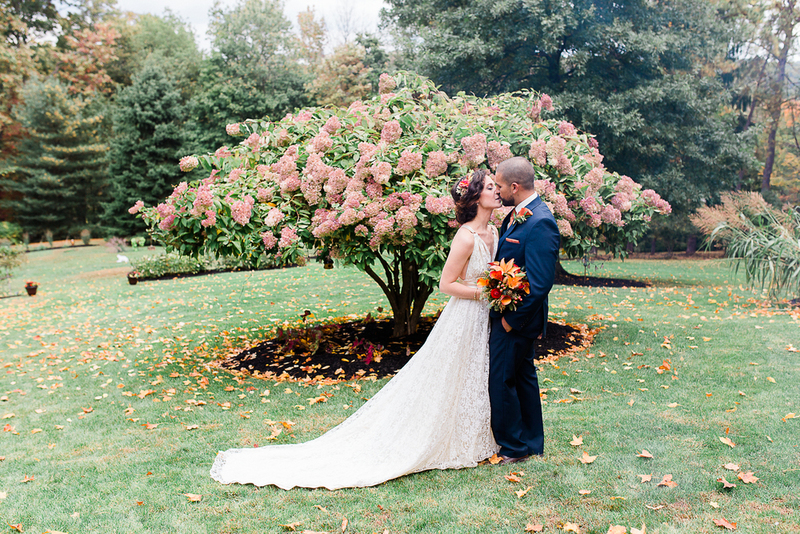 Here's what the bride and groom had to say about this special part of their day: "For both Abe and I our favorite moment was when I walked down the aisle. For him, it was seeing me for the first time, and for me it was walking with my parents, hearing the song, seeing all my friends and family, and mostly seeing Abe's face. It was such an incredibly powerful moment for both of us. The ceremony itself really represented us and what marriage really means to us. Having a self-uniting ceremony was something we felt really strongly about and felt completely natural. It allowed us to commit ourselves to each other in front of everyone we loved in a way that felt like us and let us completely create our ceremony and include more of the people we love. It was really important to have the friends and family who shaped our lives and relationships also shape our ceremony. The readings and poems they chose, and things they said about Abe and I are were absolutely perfect (and all a surprise to Abe and I), they were all just so wonderfully overwhelming. I also wanted to share the poem that our friends Danny Rudov and Erin Crossett read during the ceremony as it was particularly amazing and Abe and I really loved it: http://mappingthemarvellous.wordpress.com/2012/03/23/having-a-coke-with-you/." These sisters are my favorite. The entire day was filled with laughter, tears of joy, and so much love. Here are a few more words from the bride on the best day ever: "Other details we loved were all the the beautiful, and loving contributions of our incredibly talented friends and family. Our friend Lily Jensen's absolutely stunning hand painted Pittsburgh inspired save the dates and invitations. Our friend Dierdre Shea's perfect programs and insanely awesome "Jabe" ashtrays, and the customized ones she made for both of our fathers. My cousin Natalie Blough's incredibly beautiful flowers. Our friend Seth Hufford's killer DJ skills. All of our friends and family who brought a mountain of delicious treats to the cookie table. Having such incredible, giving people in our lives just served as a reminder of the love we are surrounded by and how much it has strengthened our relationship and brought us to this point. Ultimately, I think the lack of a lot things is what really reflected us as a couple. No officiant, place settings, announced dances, cake, bridal party... While there were definitely a lot of traditional elements to our wedding we tried to let go of the things that didn't feel true to us as a couple as best we could." Abe and Jane, I am so incredibly grateful to have been a part of your gorgeous day. Being surrounded by your friends and family was a joy, and you are blessed to have support from a lovely community. Congratulations on your beautiful marriage!